Safe Futures and the Child & Family Agency of Southeastern Connecticut will lead a Q&A session after the screening. 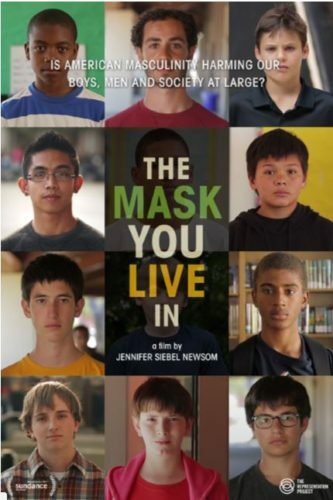 The film follows boys and young men as they struggle to stay true to themselves while negotiating America’s narrow definition of masculinity. Research shows that compared to girls, boys in the U.S. are more likely to be diagnosed with a behavior disorder, prescribed stimulant medications, fail out of school, binge drink, commit a violent crime, and/or take their own lives. Boys are pressured by the media, their peer group, and even the adults in their lives. This film confronts messages encouraging boys to disconnect from their emotions, devalue authentic friendships, objectify and degrade women, and resolve conflicts through violence. These gender stereotypes interconnect with race, class, and circumstance, creating a maze of identity issues boys and young men must navigate to become “real” men. Major community sponsors are Lyme-Old Lyme Schools, Safe Futures and the Child & Family Agency of Southeastern Connecticut. Shoreline Web news LLC, publisher of LymeLine.com, is also proud to be a sponsor of the event. For more information, contact LYSB at 860.434.7208 or visit the LYSB website.